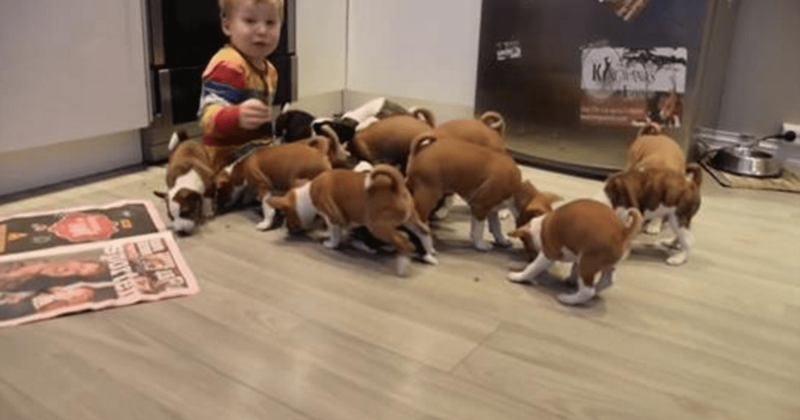 Check out these 16 Basenji puppies (from 3 different litters) having the time of their lives. They are between 4-5 weeks old, playing with this 4 year old boy. Nothing like puppy therapy!